It 'necessary to clarify first of all that a diet anti-aging is completely different from a diet: the element common to the two diets is given by caloric restriction, aimed at reducing or controlling body weight, which is an important factor in the counterclockwise direction aging. More specifically, you need to change the individual body composition, balancing the relationship between fat mass and lean mass, in favor of the latter: result obtained by combining a healthy diet with exercise, which is essential for the development of lean body mass (mass muscle). An increase in lean body mass increases the body's ability to consume calories, as it happens in young people, but not only, the increase in lean body mass and a parallel reduction in fat mass, increases or maintains optimal production and levels of hormones and biochemical substances key aging (GH, IGF-1, insulin, glucagon, cortisol, DHEA). Eating habits, in fact, limit the normal expression of their genetic potential and activate genes involved in the aging process. In short, the first step is to activate the most of their potential genetic eating properly and exercising regularly. The International Anti Aging Commission, on the basis of scientific knowledge of the aging process, called the AADN (Anti Aging Dietary Norms), indicating the essential nutrients for the prevention of human aging and the amount of intake required. This panel of experts says that diets low in calories and based on sound values ​​of the necessary nutrients, they are able to improve significantly different biomarkers of human aging. The power anti aging is based on a relationship between carbohydrate / protein / fat, the extent of: 40/30/30 or 45/25/30, while the ratio between omega-6 and omega-3 requires a rebalancing in favor of the latter, from the old to the current ratio of 5:1, which lies in a range between 2:1 and 4:1. The intake of carbohydrates should see those privileged rich in fiber, low in starch-reduced into simple sugars and glycemic index. 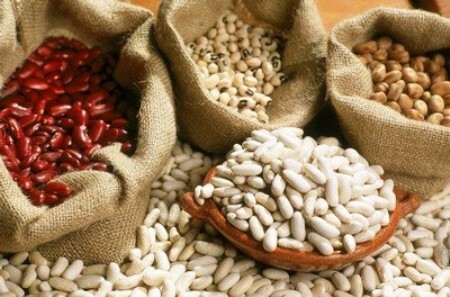 The contribution protidico should preferably be guaranteed by white meat and fish products, as well as from vegetable protein, just to reduce the amount of protein derived from red meat, which could otherwise play an acidifier, with acceleration of the aging process rather than its physiological deceleration. In this perspective, it becomes extremely important to increase the intake of food alkalizing, by setting its power so that these represent about 70-75 percent of the daily consumption. Many foods, although acid, are essential for other reasons and therefore must not be removed, so their contribution to acidification must unavoidably be compensated by increased food intake alkalizing content. With regard to the fat content, it is important to take mainly unsaturated fatty acids, mono and polyunsaturated balancing, so that the ratio of omega-3 and omega-6 is maintained properly. Otherwise, an imbalance excessively in favor of omega-6, would favor the activation of "bad" eicosanoids,increasing the factors of inflammation defendants in the aging process of the body. - Take a smaller amount of food (indicatively for the Italian population about 20% / day) and modulate the percentage contribution of macronutrients. - Break up the power in small meals: Due to the ongoing reduction in intestinal dell'eubiosi over the years, in addition to glucose homeostasis advantage also results in a better absorption of micronutrients. - Take a low glycemic index carbohydrates, which help to reduce insulin and increase glucagon levels, giving priority to the recruitment in the early times of the day, completely avoiding an abundant supply glucose to dinner. - Increase your intake of protein, especially vegetable source, so as to favor the production of hormones aging, particularly of HGH, hence the advice of a meal more strongly protidico dinner. - Drink moderately during meals and plenty more between meals, especially in the morning and in the evening, also drastically reduce the supply of water and soft drinks during meals, avoiding excessive acidification of intracellular fluid, which is the direct cause of the reduction of 'functional efficiency cell. - Precede the recruitment of proteins to that of carbohydrates, so as to maximize the action of glucagon. - Check the intake of alcoholic beverages, containing it in a glass of wine per meal, preferring the red one, which sees a greater presence of tannins, catechins and antioxidants.